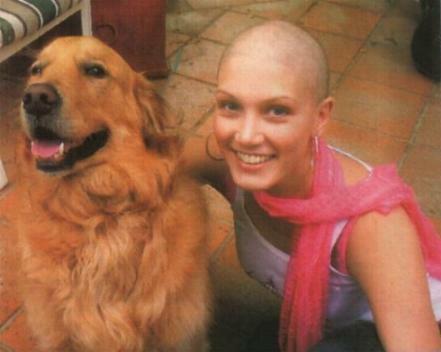 Pop princess Delta Goodrem opens her heart, speaking candidly for the first time since she began her battle with cancer. I remember feeling numb. And I remember my hands starting to shake. Then Mum said, ' They think you have lymphatic cancer '. I woke up completely soaked and I'd had a bad dream. All I saw was the Grim Reaper. It was so prominent in my mind, so vivid. All I remembered was this dark face and - I know this sounds awful - A grave. I froze. The smell and the taste of the drugs is awful ... like petrol ... The feeling is like Something is sucking out your soul, Like there is nothing left. I so desperately want to be better, for this to be gone from my life ... I can't say yet that I am out of the woods ... But there is a lot of hope.